For a small town Lewes boasts a wealth of unique and superb independent traders and businesses, making for a rich and inspiring Christmas shopping experience. Sustainability sits hand in hand with supporting community and championing local business, values that have always been central to our philosophy here at A.S.APOTHECARY. To this end, we wanted to showcase the wonderful work of some of our favourite local traders and makers, many of who have become our friends and regularly pop into the shop for a cuppa and catch-up. As an antidote to Black Friday and the usual frenzy of mindless Christmas consumerism, we have put together our list of the best Lewes festive gift ideas - we hope you find something lovely! The delightful Chloe Edwards runs Seven Sisters' Spices, a home based Catering & Teaching Kitchen also producing the most delicious range of hand blended spiced larder products. 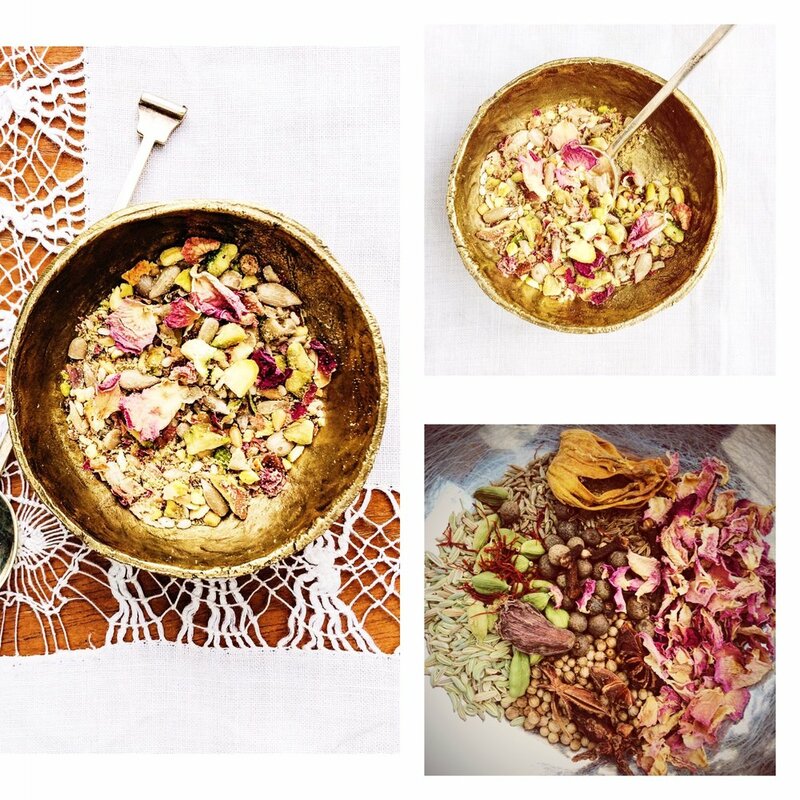 We love Chloe’s gift of a 3, 6 or 12 month subscription to Seven Sisters’ Spices Club Box – where you’re treated to recipes and hand ground spices for 5 dishes, different each month, and designed to be delicious as a feast or as individual dishes to enjoy on their own. £12.50 per month. 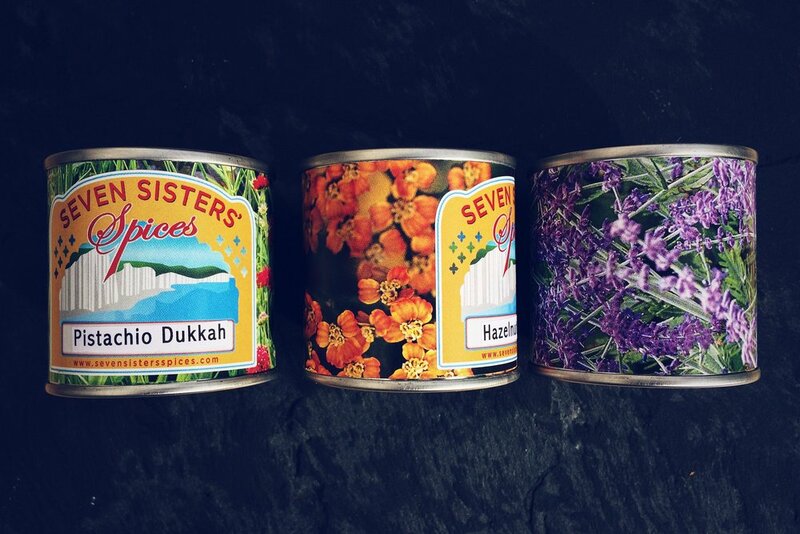 Seven Sisters’ hand ground spice blends are organic and packaged in sustainable tins with recycled paper labels, making each tin unique, and a wonderful and useful gift. All spice blends come with a recipe card and gift sets of 3 tins are also available. £4.50 per tin. Perrymans Fine Woodworking is a woodworking and design studio nestled in the heart of the South Downs. Integrating minimal, functional design with traditional woodworking techniques, each Perrymans piece is handcrafted to last a lifetime. Handmade in the Perrymans Sussex workshop, each of these simple yet elegant chopping boards are unique and distinctive in their design, colouring and grain. As a wonderful bespoke touch, Perrymans are able to stamp each of their boards with dates, initials or a short message, at no extra charge. If you've ever wondered whether colour had the power to restore then visit the lovely Sharon's vibrant shop in the Needlemakers and bathe in a riot of brightness which will revive your spirits – a beautifully styled cornucopia of gifts, accessories and homeware. 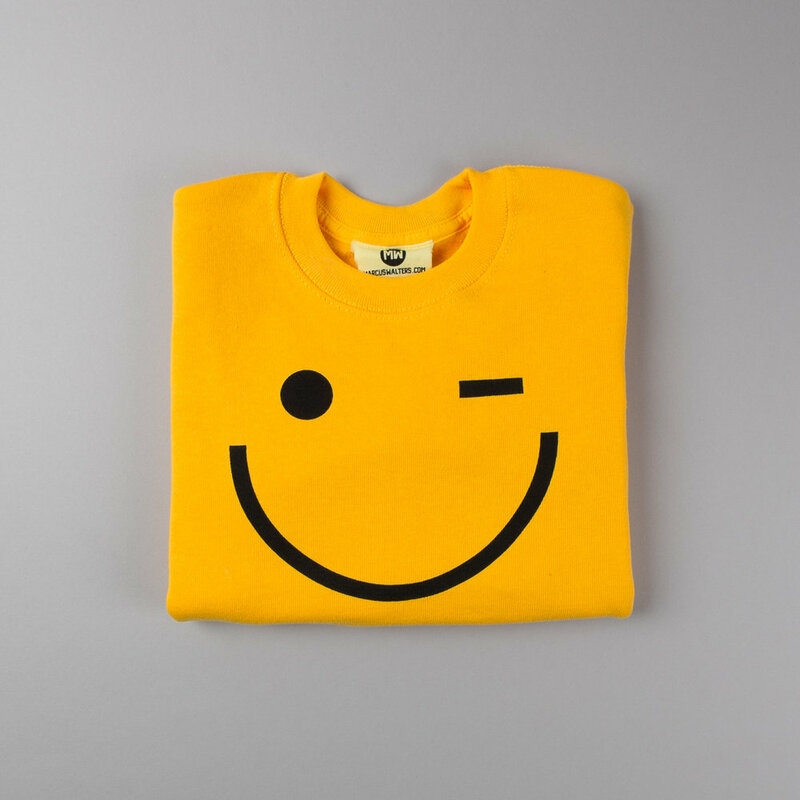 This WINK kids smiley face sweater will keep everyone happy, from Lego heads to emojis lovers or retro acid house fans! Age 2yr to 13yr. £25. Also available in T-shirts for adults. A string of Rainbow Pompoms to enliven and beautify your home and add a stylish garland of colour to your Christmas tree. 7ft long wool pompoms - £17. Housed in the Needlemakers, From Victoria is a lovingly curated Independent lifestyle shop, which embraces nature and Inspires you to create a botanical sanctuary in your home. 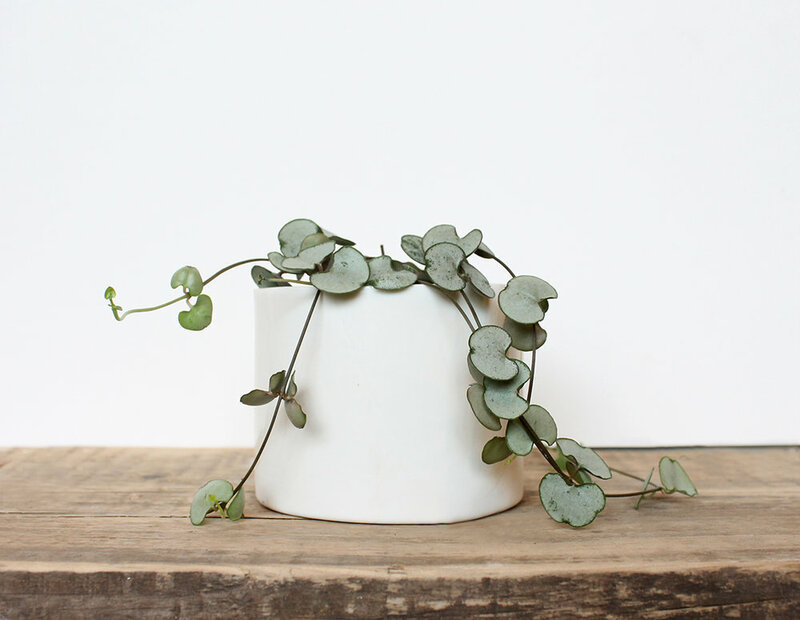 This gorgeous handmade porcelain plant pot is exclusive to the From Victoria shop. The Lewes Map Store sell beautiful curated gifts sourced directly from independent UK designers & makers who share their love of traditional craftsmanship, classic design and timeless quality. Below is a selection of their gorgeous products. Charlie is a gifted designer maker based in Lewes and he made the exquisite cabinet which adorns the A.S.APOTHECARY shop. His work covers a broad range of contemporary practical pieces designed and made at his studio. 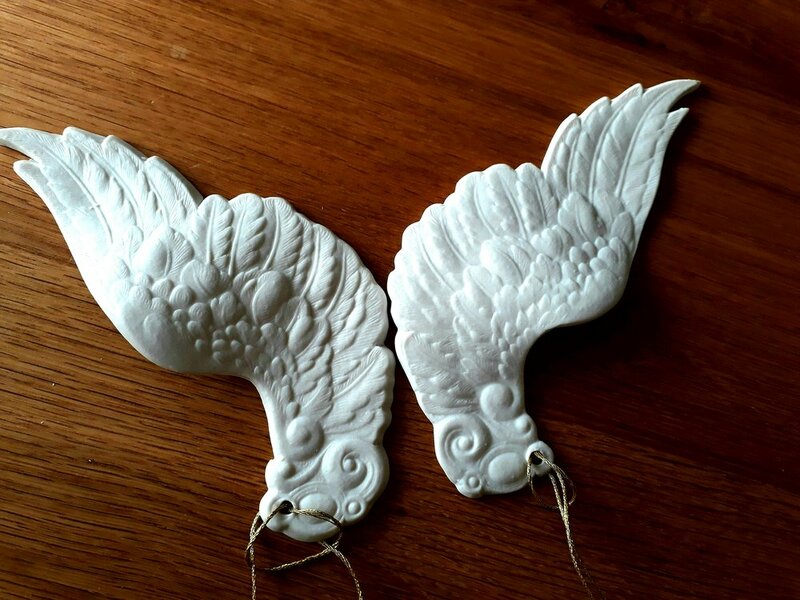 Charlie also produces a small range of furniture and tableware using ancient Patination skills. Jessica Zoob is an acclaimed contemporary British Artist whose work is internationally collected. The magical light and beauty of the Sussex countryside where she creates her oil paintings serve as the inspiration for her “dream state” creations. Jessica’s gorgeous metal lily print is from her new collection. We have a selection of Christmas gift boxes available in the shop this year, with special festive discounts on beautifully packaged collections of some of our most popular products, making for luxury skincare gifts that people will adore. Best Basic Travel Kit includes Charcoal & Mint soap, a mini Wild Beauty Balm and a Lip Balm. £20. Our new face and beard products for men are suffused with a rich mix of botanical ingredients to nourish, soften and sooth the skin and facial hair while improving texture. A perfect stocking filler for the men in your life. This wonderful short film made by Jessica Zoob's clever assistant Georgie showcases the wares of these and other Lewes artisans, makers and independent traders in the Lewes area. .